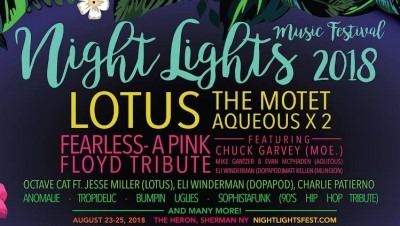 The Night Lights Music Festival transforms The Heron, in Sherman, NY, into a three-day, three-night SOUND & LIGHT spectacular, featuring more than 30 musical acts, three nights of camping, art installations, yoga, local craft vendors, great food and music till dawn. Join us. It's so much fun. Can't wait to see you there!